Although plastic may be accepted by some retailers, this is never a guarantee. An accident-free trip is never a guarantee either, which is why Mexico auto insurance coverage is a must. Mexico auto insurance coverage is easy to buy and you can get Mexican insurance for tourists where plastic is a necessity. With holiday shopping in full swing, the crowded conditions at local malls might lead you to wonder if Mexican malls would be a better choice. While the shops may be different, the experience could be an exciting time with the family. You may want to search online for shopping malls in your city of choice to determine what stores are in place. Additionally, you want to be prepared to do many of your transactions in cash. 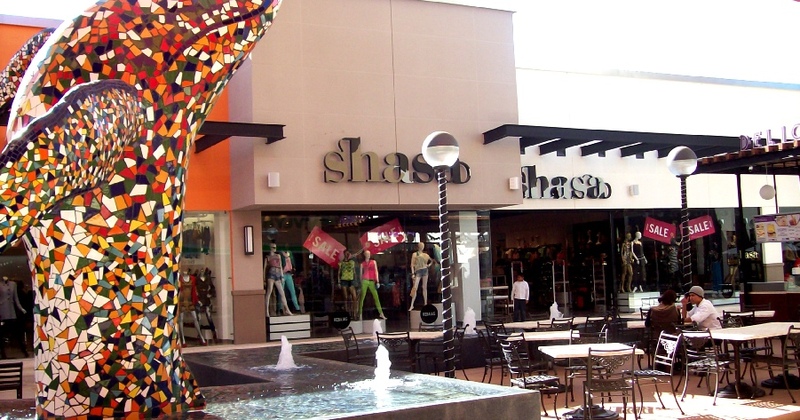 The style of a mall can vary much as it can in the United States. You’ll find that many malls are simply composed of many shops sharing a common parking lot. However, there are more complex malls that include multiple levels or a coordinated artistic theme. For example, Plaza Loma Bonita in Tijuana is a colorful outdoor mall that features attractive colors and a variety of popular stores. These include Calimax, a major grocery chain in Mexico. Additionally, Cinemex is located in this complex for movie viewing. Muebles Dico is a furniture store, a great spot to look for unique home decor. You might be surprised to find Burger King and Thrifty here as well. Waldo’s is a popular dollar store, although in Mexico, it is typically referred to as a 10-peso store. There are several game and art locations that cater to kids’ interests as well. Pro Tip: Mexico auto insurance coverage is now required, so pick up Mexico auto insurance before taking off! Why do you need Mexico auto insurance coverage across the border? If you plan to shop for big items like muebles, be sure to have Mexico auto insurance coverage because you will need a vehicle to take your purchases home. You’ll also appreciate that your coverage allows you to get help if you lock yourself out of the vehicle or have a dead battery. You should review the roadside assistance details and program the contact number into your smartphone just in case. Contact your Mexican insurance for tourists hotline initiate a service call. You may enjoy your first shopping trip in Mexico so much that you decide to invest in long-term Mexican insurance for tourists for future outings. Mexican food is popular all over the world. It’s known for its hot & spicy foods that are genuine dishes. Taking classes in Mexico will make you learn many Mexican foods.